↑ 1.0 1.1 1.2 1.3 Hemmingson, Michael (October 9, 2008). The Dirty Realism Duo: Charles Bukowski & Raymond Carver. Borgo Press. pp. 70, 71. ISBN 1-4344-0257-6. ↑ 2.0 2.1 2.2 2.3 2.4 2.5 Charlson, David (July 6, 2006). 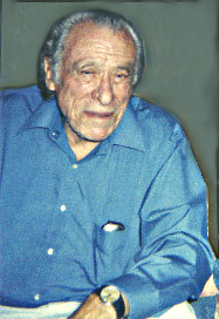 Charles Bukowski: Autobiographer, Gender Critic, Iconoclast. Trafford Publishing. p. 30. ISBN 1-4120-5966-6. ↑ Iyer, Pico (June 16, 1986). "Celebrities Who Travel Well". Time. Retrieved April 28, 2010.